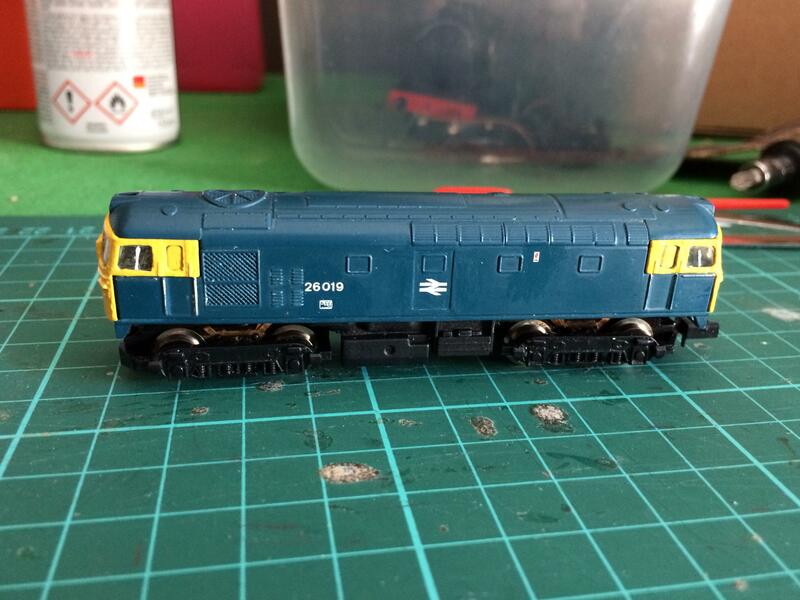 I've just purchased an old "spares/repairs" Farish class 33, and I'd like to carry out some alterations to it so that it reasonably resembles a class 26. Does anyone have experience of this that they could share, or can anyone point me in the right direction? 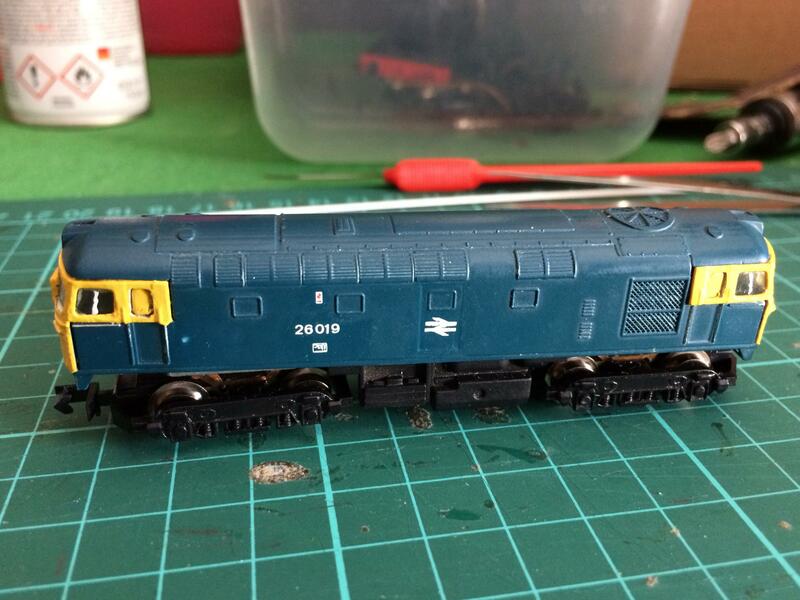 It doesn't have to be a perfect conversion, just enough for it to be recognisably a class 26. I'm not too concerned about details such as accurate etched grilles etc. as this is an old model anyway. I'd just like to give this conversion a go. I've been doing this conversion for years - in total I think 5 times. I had the latest, part done, one on display on the NGS stand at Modelrail Scotland in February. The 'to do' list you have done covers almost exactly what I do. If the etched grills were still available - I'd do that as well as they make a big difference to the appearance. 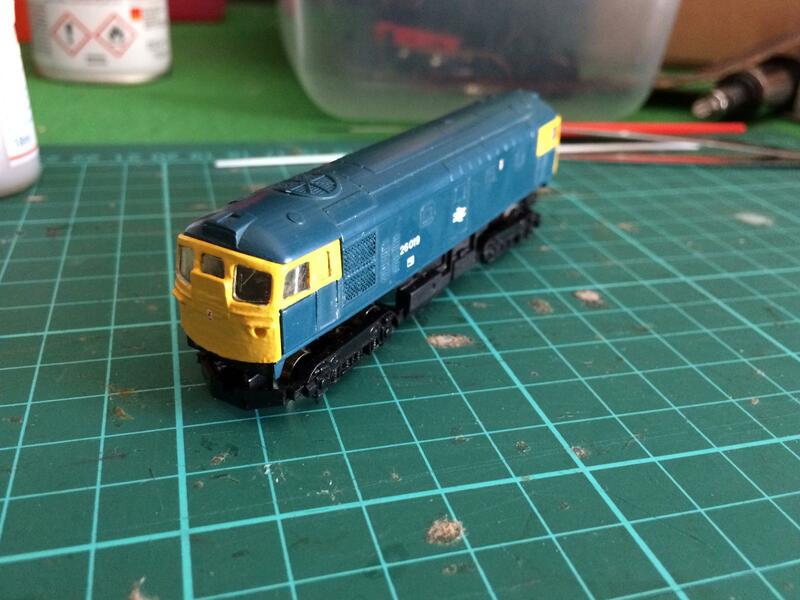 Thanks for the reply, I've just received the class 33 today. I didn't realise that the cab fronts actually detach from the body. Having looked at BH Enterprises site, I've seen that they make replacement ends to convert a 33 to a 26. 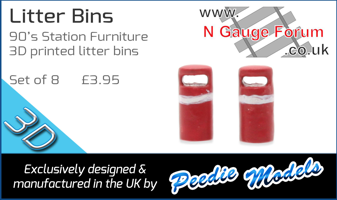 Have you or anyone else used these before? Here's where I've got to. The cab sides need to be glued to the body to stop them bending outwards so once this is done it's permanent. I chose this number as research shows that it didn't carry snowploughs so therefore it makes it a bit easier to model. It just needs oval buffers and headcode disks to complete, and a bit of weathering. I think the transfers came out okay, I used "Scottish" size, but I think I on one side the number is too far to the right (3rd pic) but I won't lose any sleep over it.